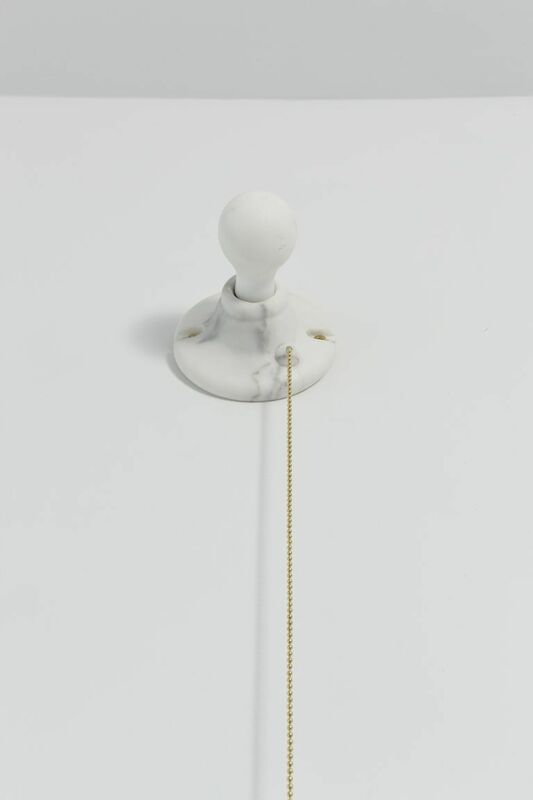 Eleven Rivington is pleased to present Vaga Lume, a major large scale installation work by New York-based Brazilian artist Valeska Soares, from February 28 ­ April 10, 2010. 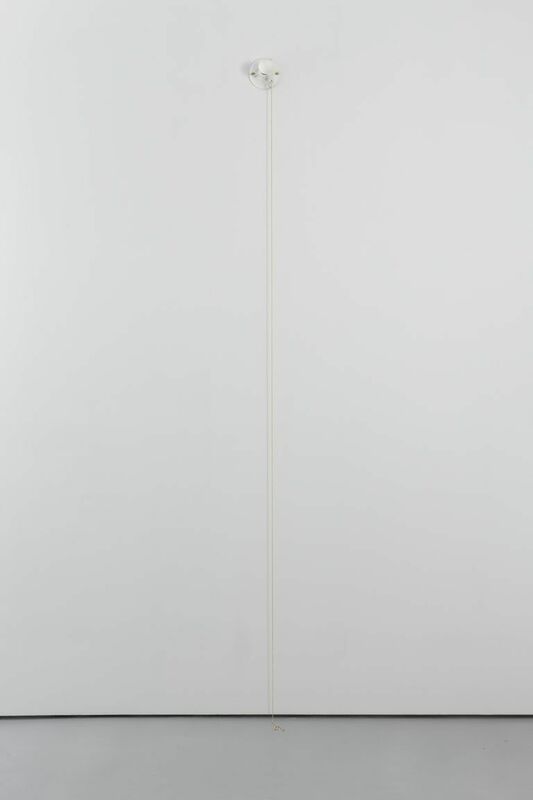 The exhibition is concurrently on view with a show of new sculptural works and wall installations at Greenberg Van Doren Gallery, on view from February 18 ­ March 21, 2010. 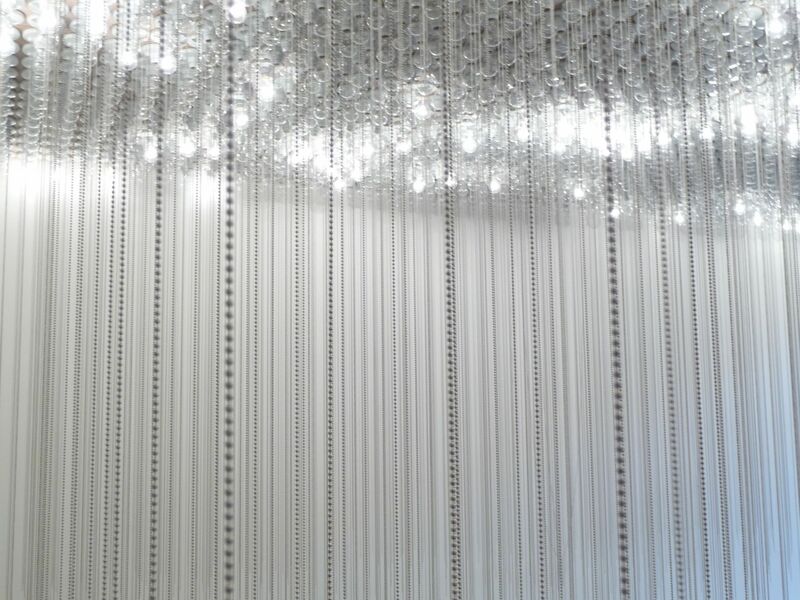 Vaga Lume is comprised of thousands of individual porcelain sockets and commercial bulbs of warm yellow light anchored overhead into the gallery ceiling; each of the lights may be turned on or off by a beaded chain which extends vertically from the ceiling towards the floor. These chains fill the space completely, creating a repeated series of veils that one has to move through. 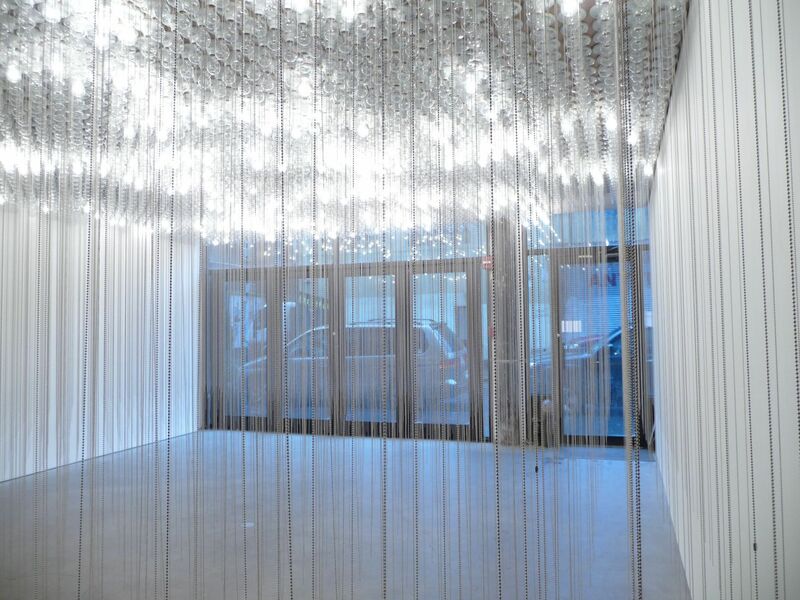 As the viewer navigates the space, he or she becomes a performer that activates the work by pulling on the chains to turn the lights on and off; by changing the pattern of lights, the viewer creates a changing composition of visual illumination. Vaga Lume exists in time as it changes constantly. Soares describes one’s physical experience of Vaga Lume as “almost like being in the middle of a waterfall, looking at constellations in the sky.” In Portuguese, Vaga Lume refers to a light that is subtle, wandering, vague and transient. Born in 1957 in Belo Horizonte, Brazil, Soares has lived and worked in Brooklyn, New York since 1992. Her works are included in important museum collections such as the Hirshhorn Museum and Sculpture Garden, Washington, D.C., the Solomon R. Guggenheim Museum, New York, NY, the Carnegie Museum of Art, Pittsburgh, PA and the Tate Modern, London, U.K. Soares has participated in various important exhibitions, including the Sharjah Biennial, the Sao Paulo Biennial and the Venice Biennale. Solo exhibitions include Folly (2009), permanent installation atINHOTIM, Minas Gerais, Brazil; After, Galeria Fortes Vilaça, São Paulo, Brazil (2007); Follies, The Bronx Museum of the Arts, New York (2003);Puro Teatro at Museo Rufino Tamayo, Mexico City (2002); and Vanishing Point, Galeria Camargo Vilaça, São Paulo, Brazil (1998).